This should be a very tight match. Kerber loves to grind, and she runs to and fro, while Osaka immediately hits into the corners and tries to put everything away. Over the six months, the German has looked very good, and at other times, she looks mediocre and sad. 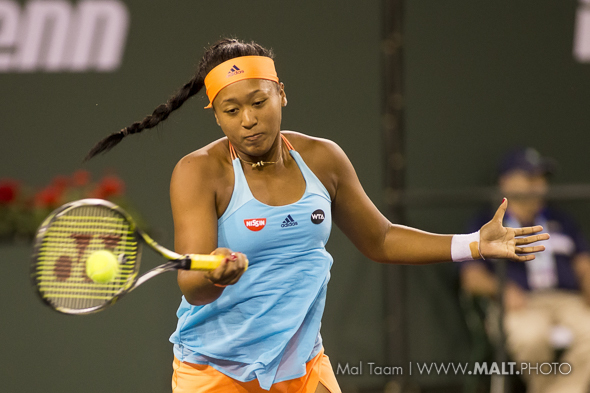 Osaka can rip the ball, and hit the lines, just liked when she won Miami. However, on clay, she was all over the place mentally. Kerber knows she has to dig in, and when she has a chance, she must go for it, rather than just pushing the balls around. In the third set, Kerber took a deep breath and she invaded her. She will grab the victory. The Serbian is getting better and better as he is much more comfortable when he is on the court. The Brit has improved a lot during the past year, and now he can sit back and play calmly and forcefully. Djokovic knows that pretty soon,he will stop being so skittish, and concentrate. Edmund is smarter now, he moves all around, and he attacks when he sees opportunties. While Edmund is excited about playing in front of the sold-out Centre Court, that doesn’t mean that he can convert. Djokovic can be frustrated at times, but he does believe that he can outhit him. Novak wins in four sets. This is a true bang-up match. When he is healthy, the Aussie is powerful and sointense. The Japanese reached the 2014 US Open final, and it looked like that sometime he would become No. 1, but he has not. However, Nishikori is still strong, he really wants to go far. While over the years, the 28-year-old didn’t quite get it on grass, but inside his head, he knows that if he stays healthy, he can push the opponents way back in the court. However, Kyrgois can blend his often powerful strokes, and he will find a way to deliver them. That will be a five=setter, and Nishikori really wants to grab it, but Nick will break him early and hold on. The other Aussie, Barty, is finally showing her bold style. A few years ago, when she quit tennis and then returned, she was incredibly nervous. Now, she is cool as a cucumber. The ambitious Kasatkina is very headstrong, and on court, she is very fierce. There will be a lot of rallies, from side to side, and back and forth. Both of them like to spin, and jump on the returns. If Barty continues to progress, she will enter the top 10 pretty soon, or even the top 5 at the end of the year. Kasatkina is still very young, and she will rise soon enough, but Barty will beat her in two tough sets.